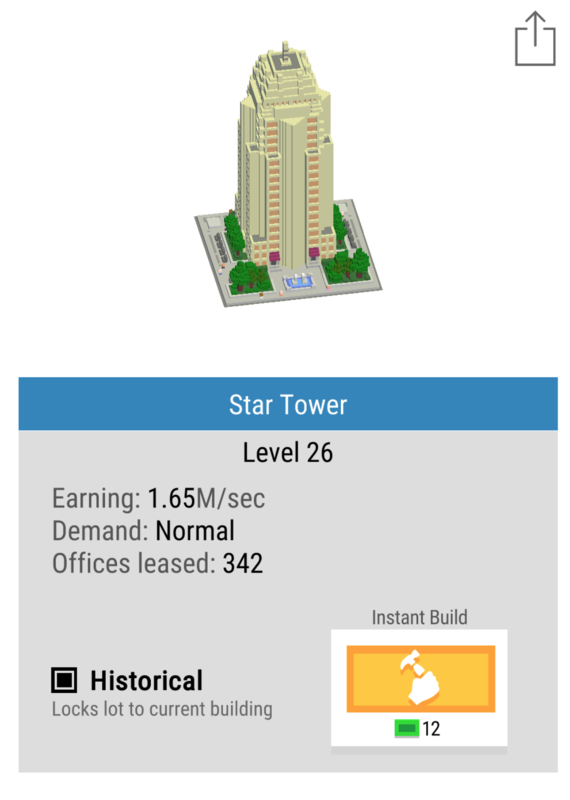 The latest release from Nimblebit features the Bitizens and this time they’ve used an idle/clicker/tapper crossed with a city builder in their new release of Bit City (iOS / Android). I’ve been a long time fan of the Nimblebit team, started by the brothers Dave and Ian Marsh back in 2007 but expanded to a number of other key staff. My personal favourite game of theirs was Tiny Tower, but I’ve also played and churned out from most of their newest releases. Pocket Frogs deserves a design mention as it still has one of the best collection/rarity mechanics of any game that I’ve played on mobile. Nimblebit specialises in creating a collecting or simulation experience around common everyday objects. Bit City’s core mechanic is an endless economic growth game and the aim of the game is to progress through the 8 increasingly sprawling cities to generate the most income per second. 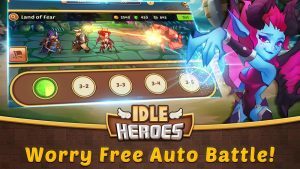 The clicker or idle genre is one of the more recent but extremely popular free to play mechanics that we’ve seen on mobile. There are some great reasons why the mechanic itself has been present in many large successes such as Adventure Capitalist, Tap Titans or Egg Inc. At it’s core, the loop for a clicker is very simplistic. You’re trying to improve your rate of earning, in order to buy items to increase your rate of earning. The simplicity of the core loop is both a blessing and a hindrance. The fact that everything you do in the game contributes to making you better at what you do (earning currency) feels very rewarding. Every action is a positive action. The hindrance comes when you eventually find the core interaction (tapping as fast as you can) repetitive and boring. In some clicker games, this can happen very fast. So, as a game designer, you eventually shift the player’s motivation from tapping to something that will last much longer. The clicker game genre eventually shifts into a strategy of choosing what to upgrade next. In Tap Titans 2 a player is strategically shifted from upgrading characters to gathering gear, pets or items. All of these have random drops and XP to give much more strategic depth. Upgrading anything feels good, but timing and choice matter. No one can be expected to be active in a game forever which is where the idle aspect of most clickers come in. While you’re away your game is playing itself, constantly growing your earnings. That way when you come back, a stockpile of cash for you to quickly spend and improve to feel powerful. This happens every time you come back, whether it’s 10 minutes or 10 hours, the size of the stack changes but the feeling of reward stays the same. The genre itself appeals to a certain type of gamer. Those obsessed with finding the most efficient and time-effective way to improve their progress (in the form of earning rate). Sometimes referred to as min/maxers finding 1-2% efficiency in upgrade choice is rewarding as you are progressing. Yet even the casual player feels good, you’re constantly making progress but at a lower rate. If you’re more interested in story and context then you will often not feel as excited about idle games. It is a game for fans of stats and numbers. 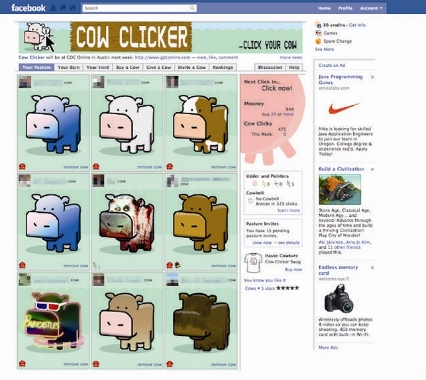 Idle games began on the web with titles such as Cookie Clicker or Cow Clicker released around 2012-2014. These games were incredibly simple. They drew huge numbers of returning users every day as the objective of “having the highest number” is so clear and powerful for players. In more recent times games such as Adventure Capitalist, Tap Titans, Farm Away, Make it Rain have re-skinned the mechanic and given a context to the clicking. Context helps with design decisions as you immediately add more depth. Depth provides you with content and that content can better mask the simple stat progression. 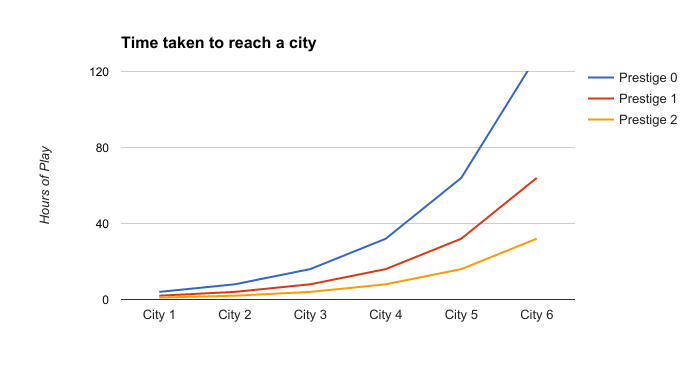 Player’s decide their goal is to “build the greatest city” rather than to “get the highest number” and this creates a better sales pitch if and when they tell their friends about your game. Context helps you design and it helps you sell, use it to your advantage and don’t neglect it by slapping it on at the end of development. Bit City provides much more context to the clicking experience by using a city and it’s buildings to provide more visual substance and reference to the core loop. The City Context is a good one, used in multiple genres it’s easy to reference, has great depth and is applicable to people from all countries. Bit City uses this to great effect, but adding Building Zones, Cars, Planes, City Hall and Windmills each contributing to your currency earning. The core mechanic of tapping furiously on the screen has been removed in favour of the idea of building. One must purchase and classify lots so that buildings of specific type are built. 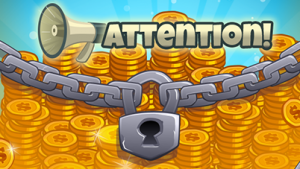 Buildings then fill each lot and the large Build button upgrades and refreshes the building on each lot for a small increase in coins per second earning power. The upgrading of buildings is endless and rather than getting stuck in a content farm black hole, the buildings are upgraded at random. Every upgrade levels up the block and each subsequent upgrade adds 1 second to the total time required to build the next block, leading in the later game to upgrades take minutes. Choice of which block to upgrade is removed from the player through randomisation and the player is taught very quickly that every upgrade is beneficial. You may also lock in place any buildings you particularly like allowing the creatives build beautiful masterpieces of a modern renaissance! Choice paralysis is removed because you don’t need to choose what to upgrade and all upgrades are beneficial. Build timers slow down sessions giving people incentive to leave. Simplicity and clarity are always key design decisions for mobile game developers. People spend a few minutes at a time with your game and so everything needs to be clear and make sense in an instant. 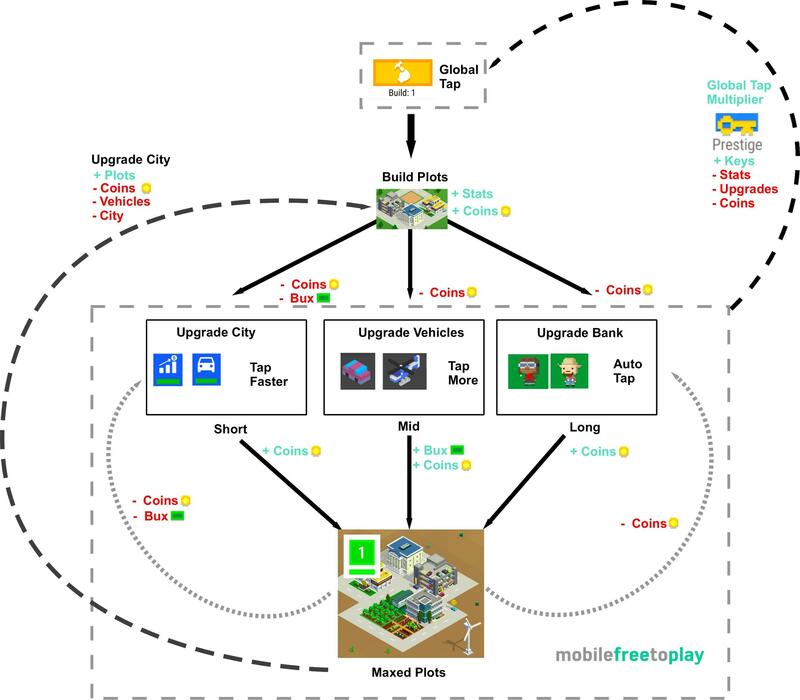 The choices available to a player in Bit City always relate to upgrades. The most profitable upgrade you can do is buying a new building for your city as each building provides a larger base earning rate. A really nice design feature is the idea of city zoning. There are 3 zones, Residential, Industrial and Commercial. Within this feature is a lot of shallow depth, that is there are a very large number of options and possibilities but as a player, the way they affect the game is incredibly minor. They do not affect the core in any way, they simply provide a route to micro-optimisation, reinforcing the fun of clickers. Each building zone is balanced by providing a 10% bonus or 10% deficit depending on the overall % of zones, this promotes people to build in an ordered manner. 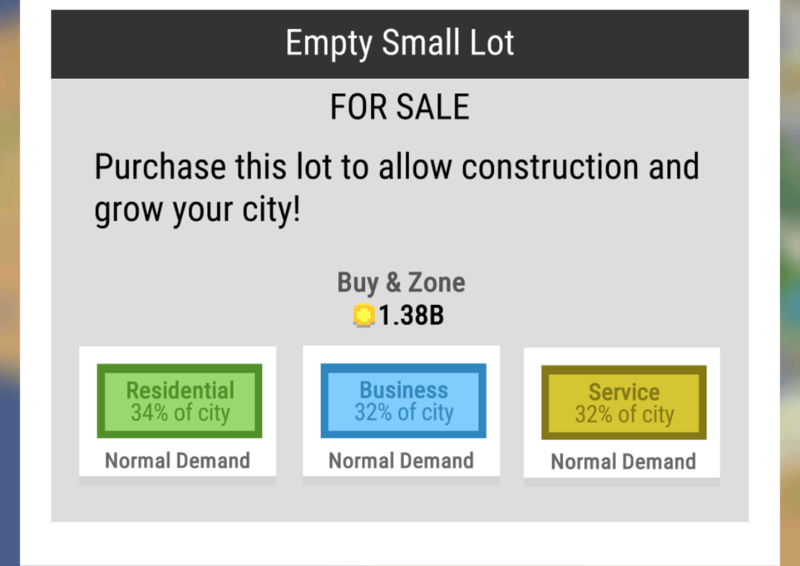 At certain times you may want to opt for larger investments in certain zones because both the Mission system and the City Bonus system provide bonus’ specifically based on type of building built. This is a good use of shallow depth again. Most people would not obsess over the minutiae of which building to build, but to really get the most optimisation at each minute of gameplay it might be valuable to invest in specific zones at specific times. Another clever design decision is to reward ever increasing premium currency (Bux) by completing missions. Missions usually revolve around building, improving or owning some upgrade or building. There is only one mission available at a time and they seem to be structured to appear in a specific order. Rather than having a small payout with lots of quick missions to teach people the mechanics, Nimblebit have used missions to give players a longer term goal. The cleverest of these is the ownership of 2 of the same building types i.e (2 Baseball Fields). Mission systems are one of the classic mid-term progression systems. They provide a steadying hand and a focus for players when options of what to do open up. The best mission systems are usually curated or at least missions are grouped and then provided based on XP level. The Premium Currency (Bux) are gifted in 10 bux increasing increments. This is risky, as it becomes a significant source of Bux in the mid game. I think the progression is a nice touch but the size of the progression is too high, it would have worked just as well say, 10,12,14 etc. At mission 13 I’m on 130 Bux which is equivalent to $0.13. Each mission can take an hour or more, but sometimes you might complete 2 or 3 in a few minutes. Although it might not seem a lot it lessens the requirement to spend. In the mid-game, it’s most profitable to focus on and perform the mission at hand. Balancing the rewards and spend of the premium currency is definitely one area that Bit City could improve on. 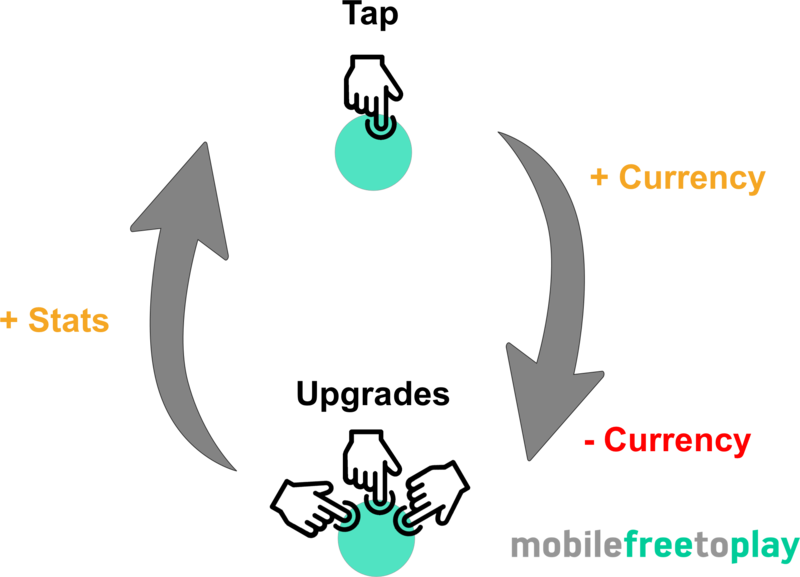 Modern clickers increase the gameplay depth over time in a number of ways. These usually either increase the speed of clicks (Faster), the value of a click (More) or automating the clicking process entirely (auto). Each of these upgrades has a clear and tangible benefit, they help you gain more currency quicker, give your players a choice: do you invest in yourself being active in the game, or invest in the time you’re inactive? Each city comes with a set number of plots. 4 for a level 1 city, 8 for a level 2 city etc. As you build more buildings you start to max out your plots. As soon as you have maxed your plots a new city unlocks and you sacrifice all of your upgrades and buildings to start again. This creates a clear goal for gamers and eases gamers into the game via small cities. As you progress the cost of each new building starts to become prohibitively expensive which encourages you to want to sacrifice everything in order to prestige to obtain Keys which will speed up everything in your game for the entirety of your play time. What’s very pleasing compared to other clicker games is that the speed of progress is managed by a multiple limiting factors. Limits by multiple sources feel elegant rather than a strong single limiting factor. First, the coins themselves slow progress as you can’t build enough buildings, then the plots limit progress on one city as you max them out and finally the cities themselves become prohibitively expensive unless the global tap multiplier is improved by prestiging. Prestige is very important as it adds ebbs and flows to an otherwise linear progression. Every time you do prestige you suddenly feel incredibly powerful as you race through early content, this is important as rather than having to create more complexity players are re-engaging with the game and reinforcing the simple systems of the game and progressing incredibly quickly. 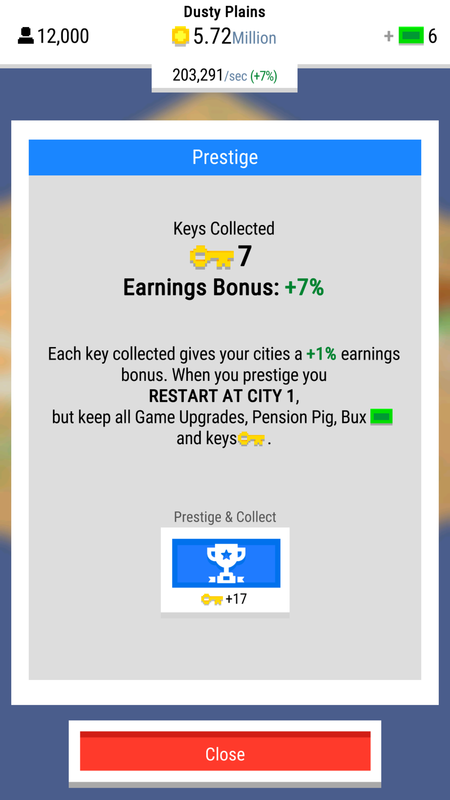 Bit City has created “mini- prestige’s” every time you upgrade to a new city once you have maxed out your plots. With every reset there is a sense of loss but also a sense of growth, getting your players used to this feeling helps them engage with the main Prestige mode. In the mid to late game idle games, prestige currencies become the main goal in Bit City these are Keys. It’s very important to get the balance and the feel of Keys right. In Bit City, Keys feel underpowered as the quantity of keys provided when you prestige is too small. A user wants to feel progress at close to double the previous rate when they sacrifice all of their upgrades. Doubling up whilst keeping a logarithmic increase in the power curve of costs equates to half the time spent getting back to where you previously were. One you reach your old position the logarithmic power curve kicks back in and really winds back a player’s progress to a snail’s pace forcing them to prestige again. A player chooses when to jump to the next prestige level and effectively picking at the right time can jump you onto a much more powerful curve. Great game design in this area wouldn’t use perfect logarithmic numbers but would add some randomness and inconsistencies to make it a guessing game for the player to find out if they are maxed out at an inefficient area of the curve. Time taken to reach a city in bit city. Prestige levels and number of hours are representative and not factually correct. It’s not mentioned in mobile how important the user interface is for a game. Especially in these management style games with large amounts of details, getting information across clearly and concisely is a challenge on a small screen. Nimblebit do a number of great reinforcements. 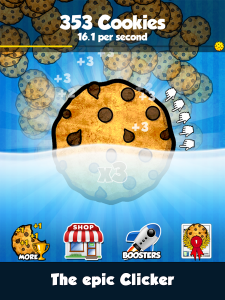 Your key measure of progress is represented as a large central number of coins per second present on every screen. The build button (the button you click the most) is larger, more centralised and stands out from the rest. Before you make a large choice there is always a confirmation screen ensuring you are happy with your decision. This attention to detail of the user’s journey removes frustration from the game. It allows you to choose where to focus your attention on to complete one or two of the tasks at a time and speed up your progress. A nice font and simple language make it enjoyable to read. I’ve spent $10 so far in Bit City. For that, I got 10,000 bux. Bux are the only premium currency and are used to speedup progress, buy city upgrades that persist through prestige mode as well as unlocking certain famous buildings that provide enhanced bonus’. I feel that this was the point where the game design suffered. Bux are not a rare currency within the game. You can get 10s if not 100s of bux by completing missions or taping on vehicles that randomly drop bux, as a free player you can often buy a few persistent upgrades. When purchasing these upgrades there is no delight, magic or drama and as a player, all you see is your bux amount slowly draining. Purchasing the unlock of rare buildings was also much the same with a simple UI transition from locked to unlocked within the building card screen. Gauging the value of upgrades is difficult. For instance, Market Gains for 1000+ bux increases your Bank Savings rate by 1%. This feels minor but would have a huge effect on the earning power itself. Rather than so clearly affecting such a powerful rate, investing in 20% cheaper bank upgrades would have had a similar effect to the player but would be immediately noticeable. No sense of mystery or delight when spending bux at any point. All bux are spent with a simple click and a UI change. I suspect the number of people purchasing bux will be low, simply because the number given out in-game is very high and people can immediately get a sense of what it would be like to have 1000s of them by spending a few hundred that they got for free. Games with great conversion rates keep the pressure on players to want to spend by constantly showing the value of having premium currency to progress. Bit City treats bux too loosely and as such the pressure to get my wallet out is low. I suspect that the game’s primary monetization route would be video ads. There is currently only one method to engage with a video ad through the opt-in button called “Double Time”. The value proposition here is strong, for a short period of time, double everything. Directly doubling the speed of progression is the best feeling for a player because it directly contributes to that core loop. Things that feel great in-game are strongest when they contribute to your progression directly. Clickers, by their very nature, are all about progress and so the reward is clear and easy to feel. Unlocks happen more regularly I can build more buildings and progress shows a real gain. The upgrade itself is time limited to 10 minutes but with bux can be upgraded to 15 or more minutes. This again is a clever gamble as by getting people to potentially invest in an IAP they then encourage more video views, which if you remember is a key KPI for increasing monetization from video ads. The major issue here is that there are not more ways to engage with video to improve those views per DAU that lead to more revenue. The 10-minute bonus is strong, but what about a 4h increase in the Bank Savings rate? Watch a video ad to upgrade a building directly would provide so many more places that a user could click the Watch button, increasing its adoption. The classic Double Up bonus for all returning players could be run once every 24 hours in order to highly incentivize at least one valuable video view per day. There is huge scope for expanding video ads integration. 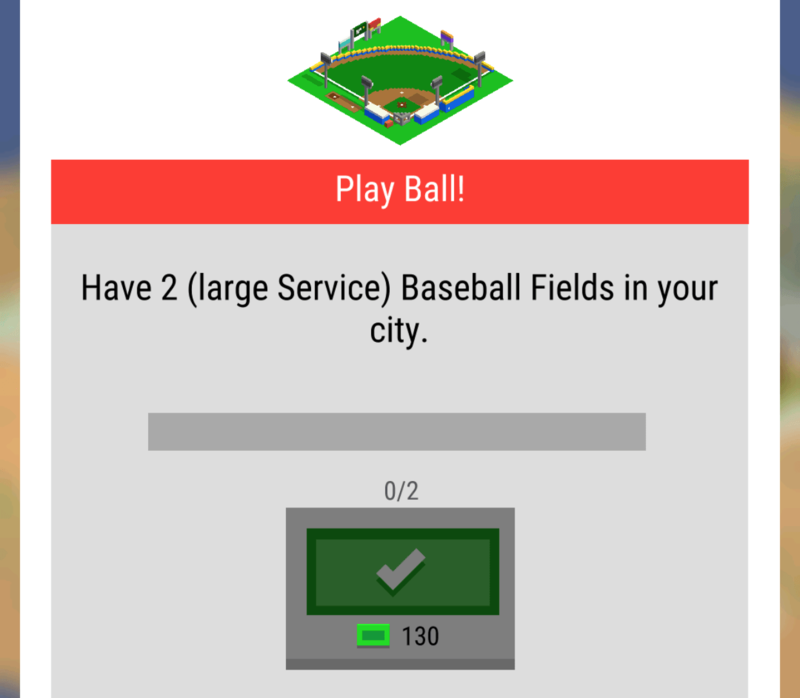 Bit City is a great example of expanding clicker mechanics into new genres. City Building and Clickers make a great match because of the depth in buildings and environment that are available to the team. Nimblebit have done a really good job of pacing the game across multiple cities causing you to have clear evolutions in your progress as well as allowing you to prestige at any time, making it your own decision. The type of upgrades and the thematic choice of upgrades fit nicely, all contributing to a busy and bustling city experience. The UI and UX of the game itself is also neat, simple and clear making playing the game an enjoyable experience. The game’s biggest weakness will be its monetization. It’s very loose usage of Bux as a reward currency and the fact that players can only interact with video once per session without enough cues from the UI. The value of that video view is high so it should see good usage, but providing your most engaged and active players with more ways to watch would see many more views per DAU. The games a great addition for the Bitizens and well worth a play!